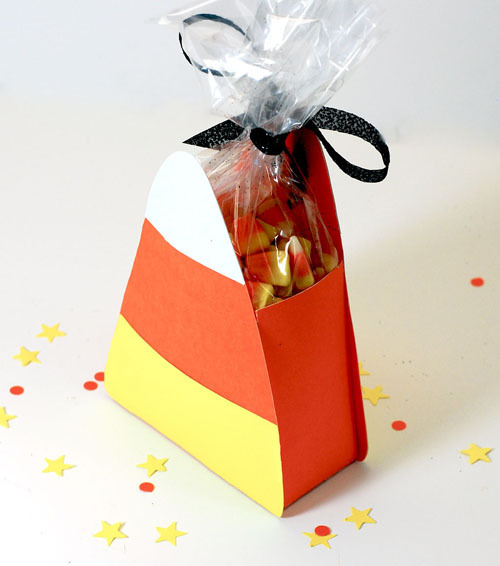 Today’s craft project is a Halloween Candy Corn treat box holder. Die cuts for this project are available for free download and include files that are compatible with most die cut machines. 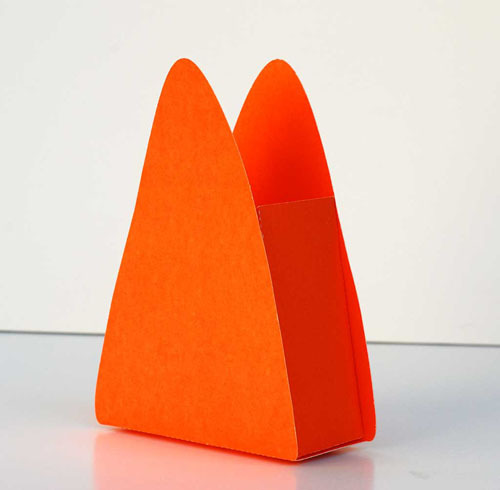 I made this craft out of orange poster board and yellow and white card stock. 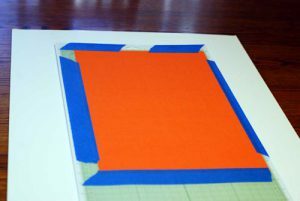 Cut an 11 x 17 inch square from orange poster board, and mount on cutting mat. (*Paper crafting tip) I sometimes have trouble when using a heavier type of paper on a cutting mat. The paper will slide around resulting in wasted paper and bad cuts. I have found that attaching the paper to the mat with painters tape works well. You can peel the tape off the mat without damaging the paper or the mat. Cut out the bottom and sides of the box on a die cut machine. 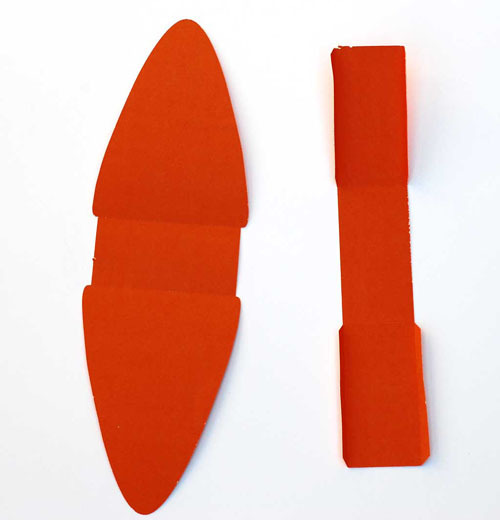 These pieces can also be cut by hand using the pdf file as a guide. 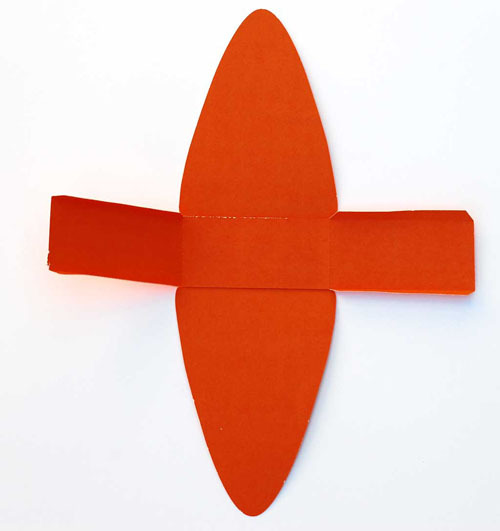 Glue the square template piece onto the center of the candy corn template as in the photo below. Glue the sides of the square template to the “corn” template as in the photo below. Make sure to align the top of the square template to the edge of the “corn” template. This placement will result in the top of the “box” part folding inwards, and a bit of the “corn” template protruding on the bottom. Cut out the yellow and white template pieces and glue to the box as in the completed project photo on the top of this article. Fill with your choice of candy in a plastic treat bag, and tie with a ribbon.